Discussion in 'Do-It-Yourself & Gear Modifications' started by dansciurus, Feb 4, 2013. Hey guys. I failed to take pictures of the actual process, but I feel like showing it off anyways. Here are some pictures of my modded ESEE IZULA. Anyhow. Here is how to do it. Most people I saw doing this only soaked the etched areas by just applying a few drops on the ESEE, ROWEN, serial number, USA and the ANT logos. Doing that for about four hours will etch the logo into the metal. As it is, the laser engraving is only barely through the powder coat. I decided that I wanted the logos etched as deep as possible. 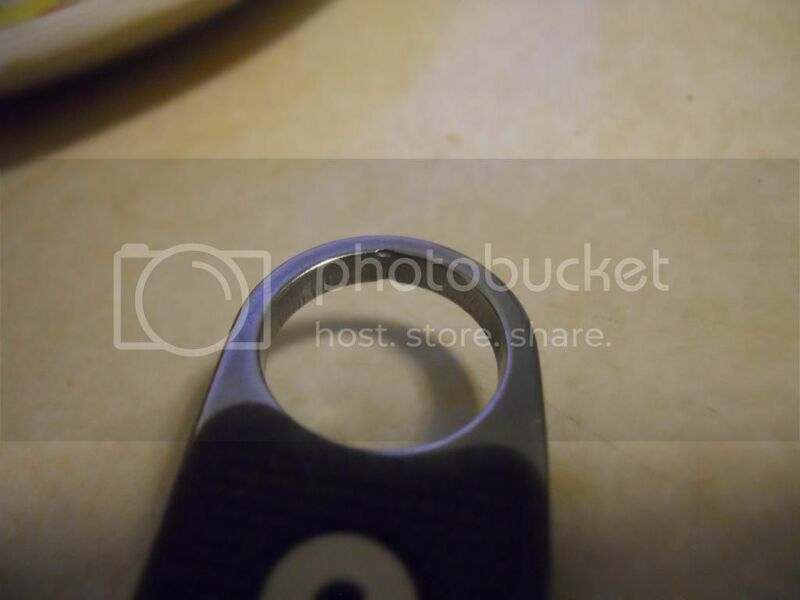 #2--I covered the blade edge, and the bottom of the pinky hole. (that is where they hang the knife to paint it, there is a small dot on both sides of the pinky hole on the inside bottom edge of the circle) I used melted candle wax to cover the blade edge and the paint hanging marks. After I covered the edge and such, I submerged the entire knife in PCBetchant for 40+ hours. Make sure to remove the knife periodically, and clean the laser engraved parts with a soft toothbrush or equivalent. 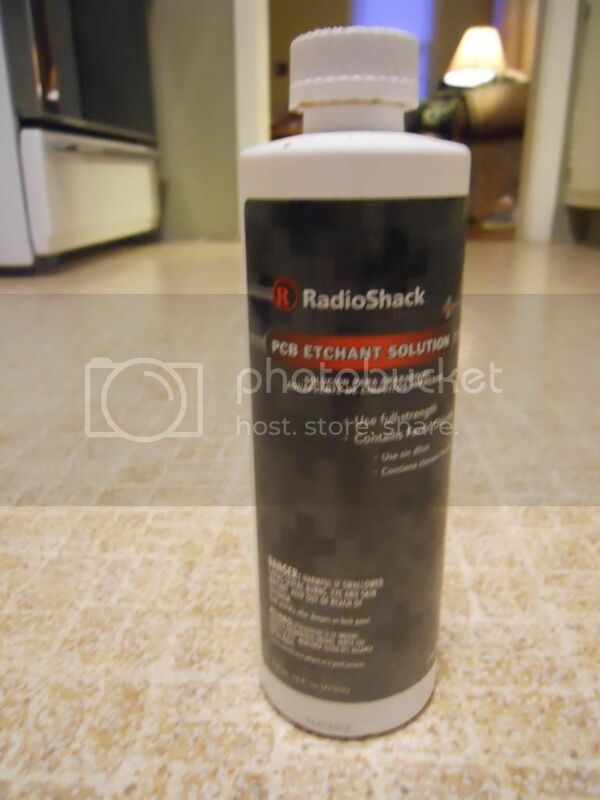 The etching solution will turn the metal black. That black needs to be removed periodically to keep etching deeper and deeper. 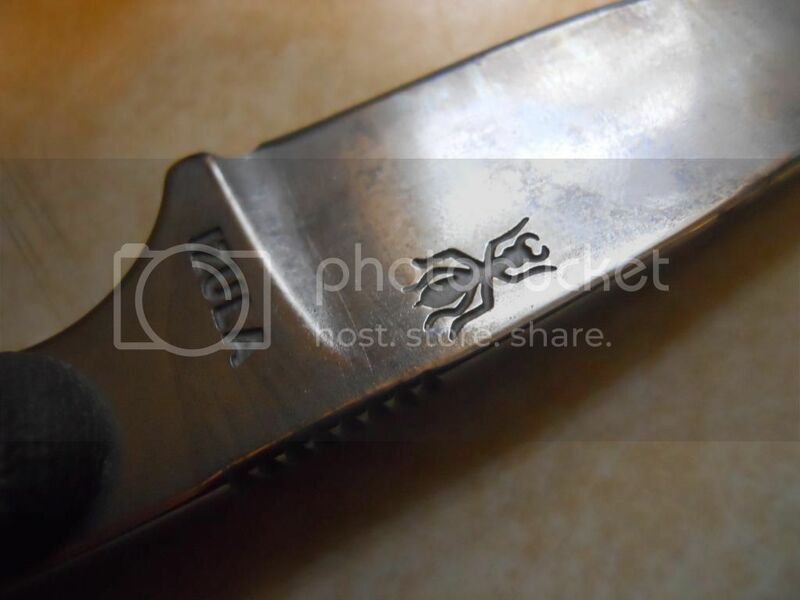 #3--Once I found the perfect spot between depth and keeping the detail of the laser engraved parts, I removed the knife from the solution and cleaned it well with hot water. This will also remove the candle wax. Now you have a knife that has been etched to the depth you prefer. #4--Once I was done etching it, I decided that I no longer liked the look of the powder coat. 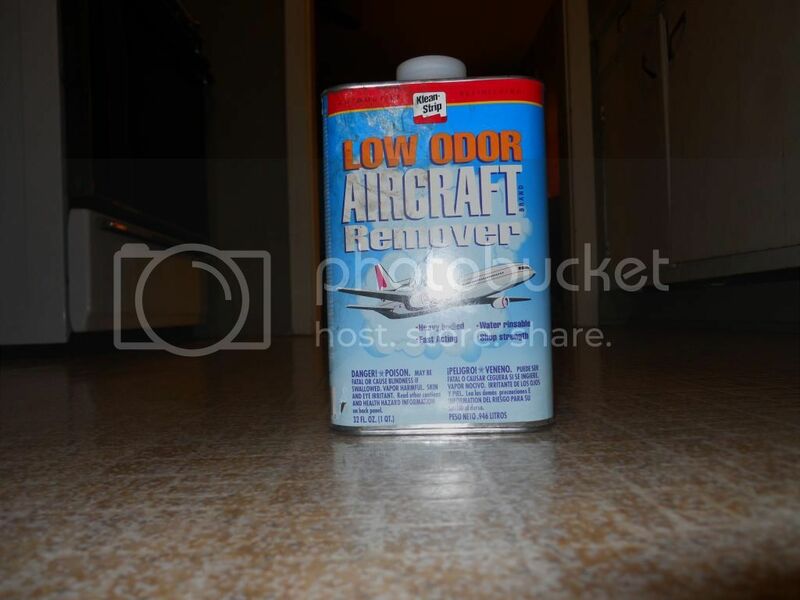 I then took some paint remover(AIRLINE STRIPPER from your local AUTOZONE, ADVANCED AUTO. Any good automotive paint stripper should work) I left that sit in the stripper for approx. 30 minutes. The powder coat fell off. 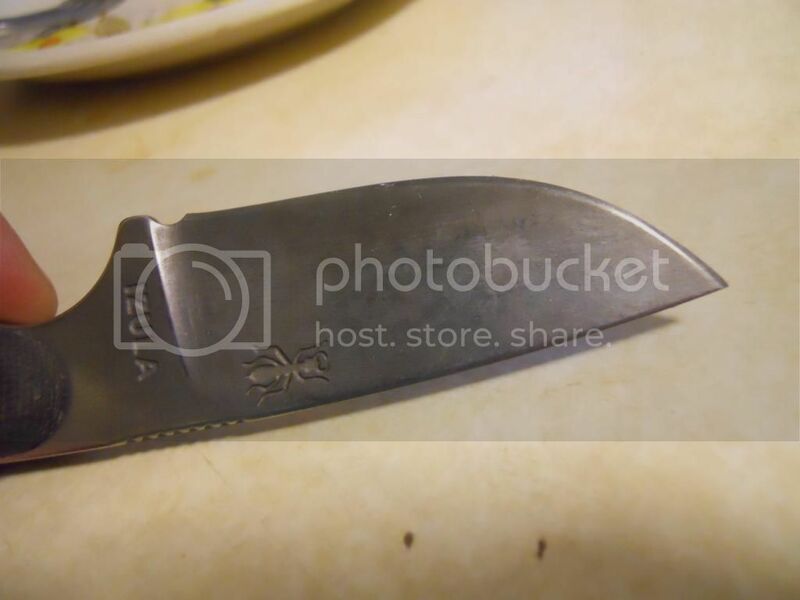 #5--What was left was a bare metal knife. It looked rough. Almost like it had been parkerized. You can decide what to do after that. I decided to start sanding the rough metal down to a shine. Start off with 100 grit(wetordry sandpaper works best, keep it wet), and work your way up. The shinier it is, the better off it will resist rust. I had a nice shiny (mirror finish) Izula. #6--Use it! Food prep, anything you can think of. I decided not to force a patina on this izzy, and let it develop naturally. 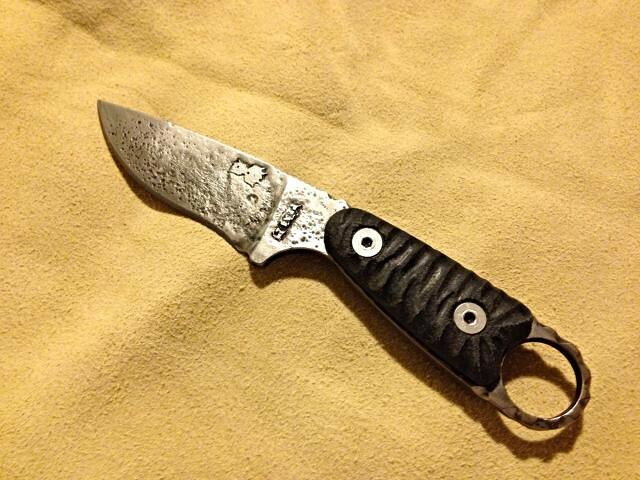 You can search this forum, and other such sites about knives about patinas and the benefit of them. Keeping the blade shiny will work also, but takes more effort. You need to mind rust as it is a high carbon steel (1095). Patina's can be forced into extremely cool patterns. Take a look at some of my other posts and mind the opinel #6 that I edc. I stuck it in an onion overnight, and it came out looking wicked cool. Mind you, the more you use it, the better off it will resist rust. That is where I stopped for now. I installed the micarta scales, and I love it. The slicing ability of this knife is superb now that the rough powder coat has been removed. 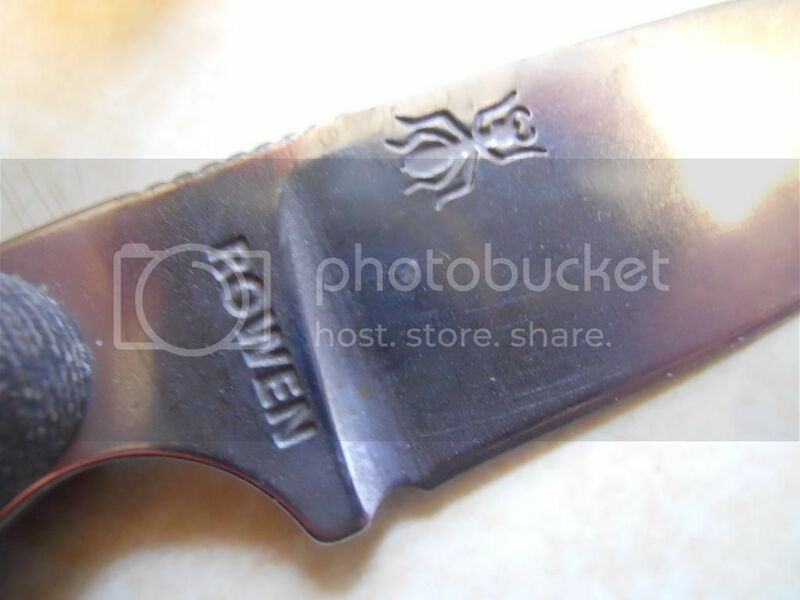 An added benefit of etching and stripping your knife, is that when you go to sharpen it, you won't get any paint residue on your sharpening stones, etc. 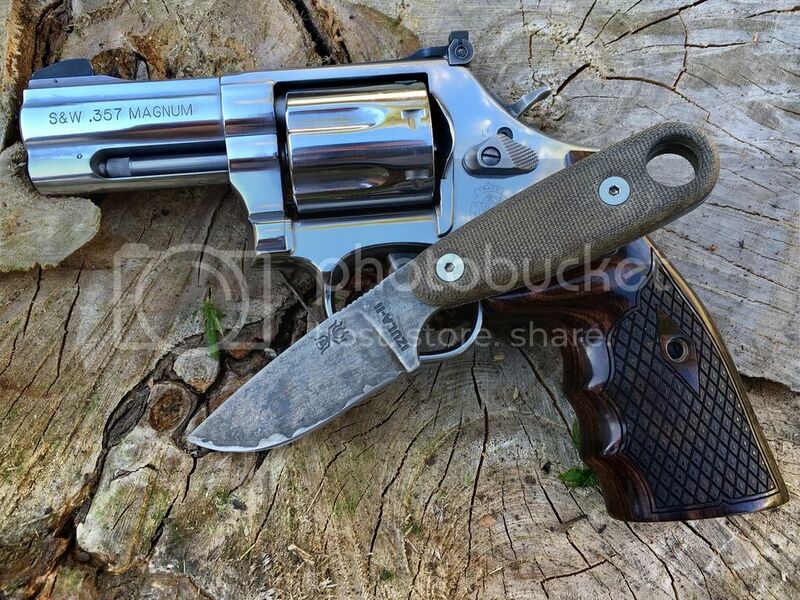 Gary Gross, Gunsmoke609, WsRub04 and 5 others like this. cool!!! What is the reason for etching? Just so the logos show better? When you get it stock, the logos and everything show up bright as day. But those logos are not actually burnt into the metal. All they do is eat the paint away. So if you were to strip it without etching it, the logos would fade out completely. Its just a good idea. 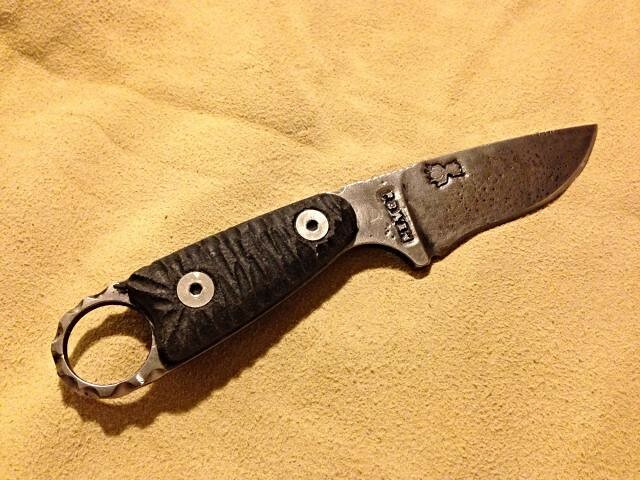 At least for your serial number and stuff, because ESEE has a lifetime warranty. 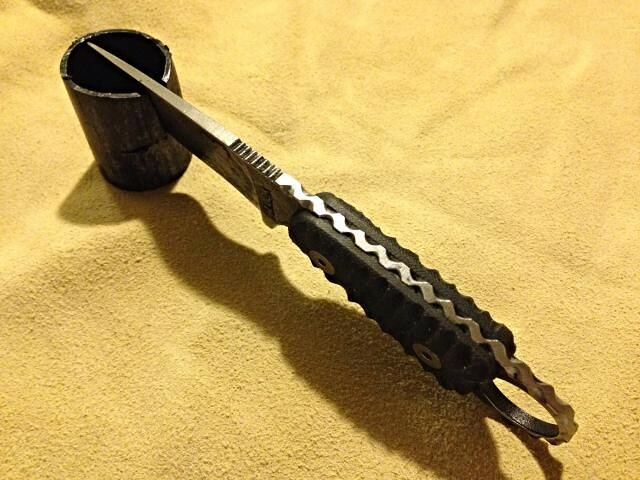 I don't know for sure, but what happens if you break a bald ESEE? Or Becker? Will they replace it? Who knows lol. Probably. 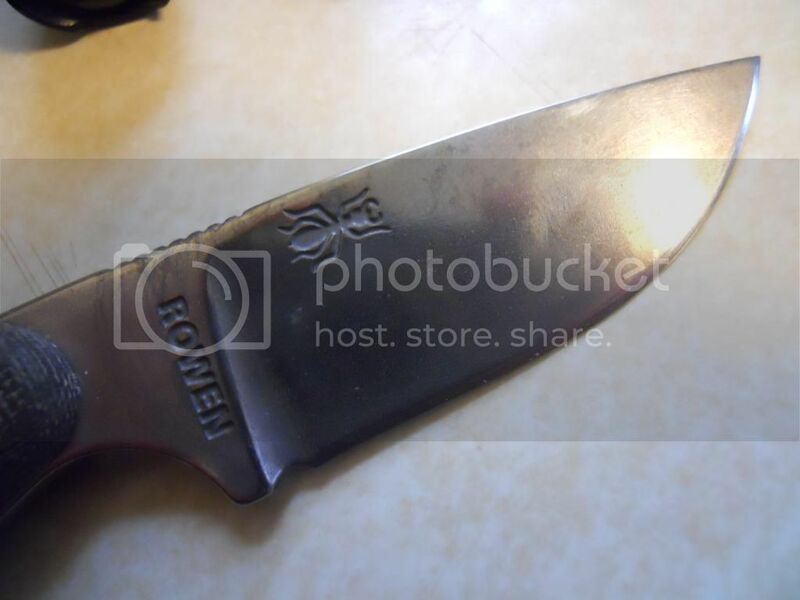 Anyways, the etching actually removes the metal of the logos. My izzy has them etched in about a millimeter. They will never fade away, unless I was to grind the whole thing down to a toothpick. plus 14 cool points!!! I wanna do this for my izzy! I have other coated knives where the logos stay after the coating wears off. I didn't know that about Esee. Ha. I have a set of kryptoglow scales backordered. I have a thread in the mod section all about my ideas. Scratch that. The longer I have had it, and the patina has developed, I enjoy the look of the micarta scales. I got too many projects on the fire right now to deal with the izula. I'll get to it eventually. 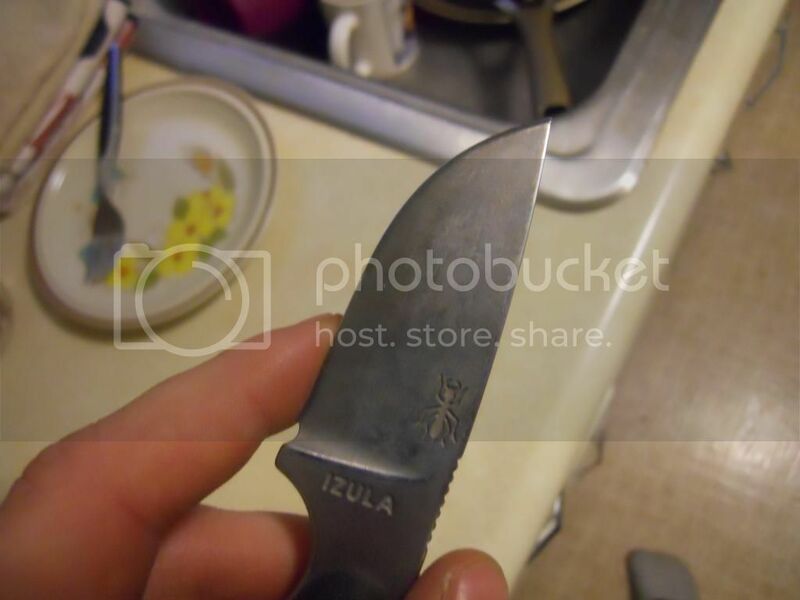 I know this is an old post, but I wanted to say thanks for it because it inspired me to mod my Izula a few years back. Someone asked me how I did it recently and I was able to find my way back. Gary Gross, Airth, dansciurus and 1 other person like this. Here's my version, which is quite a bit rougher looking. To make a very long story short, I began the etching process intending to do 15 hours maximum, stepping it through weakened ferric chloride until I got the etch depth and patina I was looking for. In the interim I had gotten sick and was hospitalized, and didn't get back to the knife until nearly a week later. I was glad anything at all was left! Anyway, the acid had actually eaten off the masked edge, all the parkerization, plus all areas I had masked for what was supposed to be an short etch. Thinking I had pretty much ruined it anyway, I went to work to see if I could salvage it. I'm actually pretty happy with how it turned out after I re-profiled the edge, added some file work and and carved the micarta scales to match. I call it my Izula Artifact. dansciurus and ran23 like this. Wonder how long it would take to etchnize the whole knife? Wow!